Apparel Empire is an apparel manufacturer, specializing in one stop apparels customization for brands of all industries. Our Apparel customization allows companies from SMEs to MNCs to create the consistent brand image that any entity would desire. Explore unlimited possibilities with apparels customization today! FULL PRODUCTION UNDER YOUR BRANDING. EXPLORE TODAY. EXPLORE THE DIFFERENT STYLES AVAILABLE IN OUR LIBRARY AND CREATE ONE YOU CAN CALL YOU OWN! Apparel Empire specializes in creating high quality tailor-made fashion brands and private label brands for organizations and companies in a “fast turn-around” time according to their specifications. KEEPING UP WITH THE TREND. 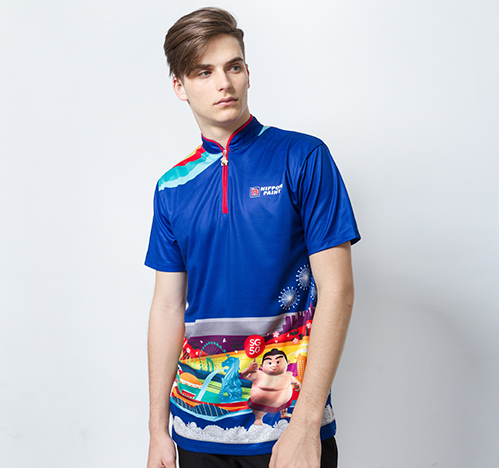 T-shirt printing might be a cheaper alternative for corporate uniforms but in recent years, many brands are adopting good practices of customizing unique uniforms with different textiles. The demand has been growing ever since. To keep up with the trend, our clients can choose over 5,000 fabrics to create apparels based on the functionality. In addition, we also provide a wide spectrum of logo imprints, designs, fabric technologies and accessories that make it easier for any clients to create an one-of-a-kind look. We have a range of garment production standards, allowing clients to optimize their budget. OUR TEAM ON YOUR PRODUCTION. Apparel Empire has expanded our apparel customization service in 2015 to include head gear and pants. In 2018, we have the resources to manufacture unique apparels like kidswear, pet wear, industrial uniforms and even matching accessories like vest, pins and scarfs! Drop us some image reference and we will take it from there!